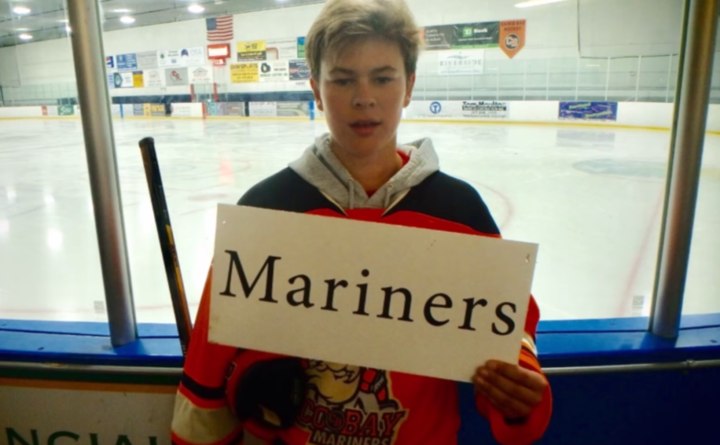 Mariners was selected from one of five final names for Portland's new pro hockey team. The name of the new ECHL franchise in Portland will be a familiar one to the city’s ice hockey fans. On Friday, it was announced that the league’s new team, scheduled to drop the puck in the fall of 2018, will be named the Maine Mariners. The name was announced at a news conference in Portland on Friday afternoon. Mariners was one of five nickname finalists along with the Watchmen, the Wild Blueberries, the Lumberjacks and the Puffins. Ultimately, the city’s hockey roots won over. Colors and logos for the Mariners will be determined at a later date. Lumberjacks had been used twice for two professional sports franchises in Maine, the Maine Lumberjacks of the Continental Basketball Association (1978-83) and the Bangor Lumberjacks, an independent league baseball team that existed from 2003-2004. In June, Comcast Spectacor, the parent company of the Philadelphia Flyers and Spectra, announced that it had purchased the ECHL’s Alaska Aces and had planned to relocate the team to Maine’s largest city. The ECHL’s Mariners will fill a professional hockey void that was left at the Cross Insurance Arena when the American Hockey League’s Portland Pirates abruptly departed for Springfield, Massachusetts, in 2016. The ECHL, like the AHL, is a stepping stone for players to reach the National Hockey League. New England-based teams include the Manchester (New Hampshire) Monarchs and the Worcester (Massachusetts) Railers. The original Maine Mariners began AHL play in 1977 after the Maine Nordiques folded following the 1976-1977 season. The team won the Calder Cup championship its first two seasons, and was affiliated with the Philadelphia Flyers. In 1986, the Mariners relocated to Utica, New York, but an expansion team was approved and played under the Mariners’ name and was affiliated with the Boston Bruins. The franchise relocated to Providence after the 1991-1992 season and was renamed the Providence Bruins, which today remains Boston’s top minor-league affiliate. The Pirates started their run in Portland in 1993 and, like the Mariners, brought the city a Calder Cup championship in its first year.